Hanford is famous for its ponies but there are also lots of other animals at the school. We are a nation of animal lovers and that love affair begins in childhood. The Canning family, who founded Hanford, strongly believed that being around animals was an important part of childhood. It teaches children to be thoughtful, kind and gentle as well as encouraging them to think about others. 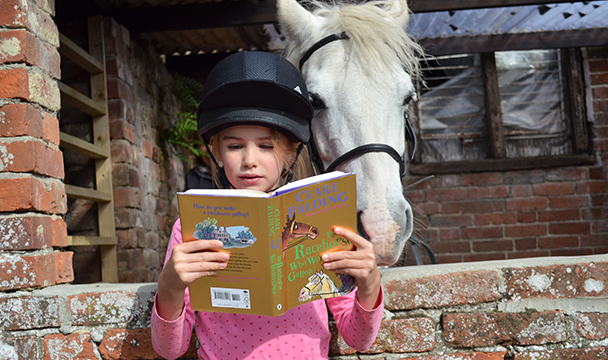 There are around 20 ponies who live permanently in our stables. During term time they are sometimes joined by the girls’ ponies. Before any girl can to bring her own pony to school it must be assessed for suitability. The stables is a popular place to hang out in break and recreation. 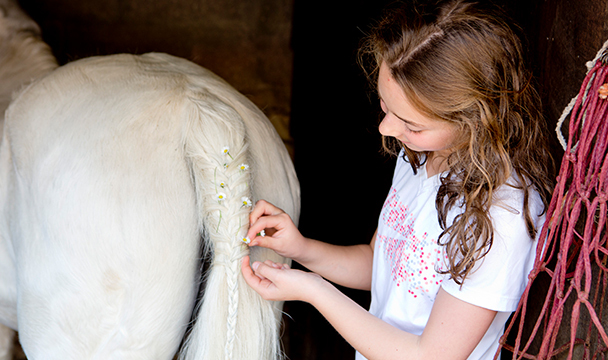 Girls will often enjoy spending their free time grooming and caring for the ponies. The desire to look after animals at Hanford helps to encourage a sense of selflessness and empathy. It is also an important area of common ground as the shared interest in ponies, chickens and dogs can help bring together even the most unlikely of friendships. The dogs come and go during the day with staff often bringing them into school as the girls love taking them for walks around the grounds. There are all sorts of dogs at school from Dachshunds, Spaniels, Labs and Lurchers all of whom are looking for willing dog walkers. At weekends Mr and Mrs J will often take a group of girls for a dog walk, sometimes with a picnic, up Hod or Hambledon Hill. The nearby reconstructed railway station at Shillingstone has a wonderful little café where they serve piping hot chocolate in the winter and ice cream in the summer.